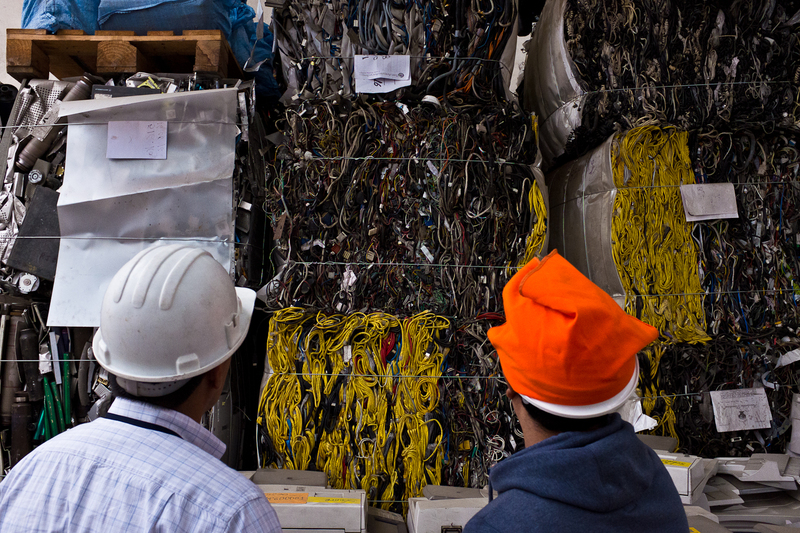 A formal recycling facility in the outskirts of Lima, where electronics are dismantled and sorted under safe conditions. Under its contractual obligations with commercial customers, this facilty does not refurbish electronics or salvage parts for reuse. Metals, such as steel and aluminum are sold locally and components such as circuit boards, copper cables (shown here), and plastics are baled and prepared for export to China for further processing.